This is a summarized list. For more detailed areas please give us a call and we’ll be glad to discuss it with you. In the quest for a permanent solution to excessive hair growth, women have plucked, shaved and waxed countless times, often enduring pain, skin irritation, and ingrown hairs. Laser hair removal can help get rid of your unwanted hair safely for a lasting, smooth appearance. Women may choose to have laser hair removal for several reasons. Facial Hair – Over 75% of all women have some facial hair growth and tweezing daily can be frustrating. Eyebrows – Most women visit salons on a regular basis to have their eyebrows tweaked and plucked. Why not have them permanently shaped and eliminate those weekly visits? Arms & Underarms – Women living in South Florida often are wearing tank tops, dresses and bathing suits nearly year round. Removing underarm hair not only reduces the level of perspiration, but also inhibits the growth of bacteria that cause odor. Legs & Bikini – Laser hair removal can rid you of that task of shaving and having to deal with coarse stuble, allowing you to feel more comfortable in your bathing suit. Breast & Abdomen – Hair growth in these areas are not uncommon for women but it can increase a woman’s self-consciousness. Laser hair removal can fix this problem quickly and easily. Fed up with ingrown hairs on your neck? Tired of shaving or waxing your chest, shoulders or back hair? Excessive hair in certain areas is problematic for a good portion of males. Traditional methods of hair removal can be time-consuming, temporary and painful. 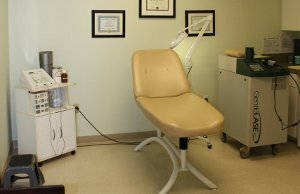 Our clinic specializes in treating all body areas with safe and effective laser hair removal techniques. With our laser treatment, a beam of highly concentrated laser light targets specific hair follicles for easy removal. We remove hair from larger body areas, such as back and chest; as well as, smaller areas like the ears, nostrils, fingers and toes. Electrolysis uses a low level electrical current to remove hair permanently. The current is delivered to the Dermal Papilla (the base of the follicle) and the productive organ or matrix of the hair through a very fine sterilized probe inserted into the follicle along the hair shaft. Once the current is applied and the papilla and the reproductive organ/matrix of the hair are destroyed, no further hair growth will occur. “Laser hair removal is the best money I’ve ever spent. It has given me so much confidence. My only regret is that I didn’t do it sooner. “I have been self conscious about my facial hair for years. 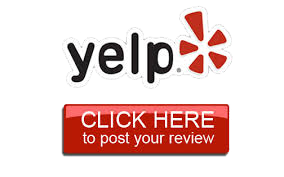 The staff at Laser Center of South Florida was so professional and made me feel really comfortable. Now, I never need to worry about anyone noticing hair on my face. It’s been one of the best things I’ve ever done for myself. “I was always embarrassed to take my shirt off at the beach because of my back hair. I haven’t had to worry about it at all since I saw Sally at the Laser Center of South Florida.